The conference room can be accessed via double-doors in the coffeehouse or the hallway near the entrance of our building in the heart of downtown Sheboygan. 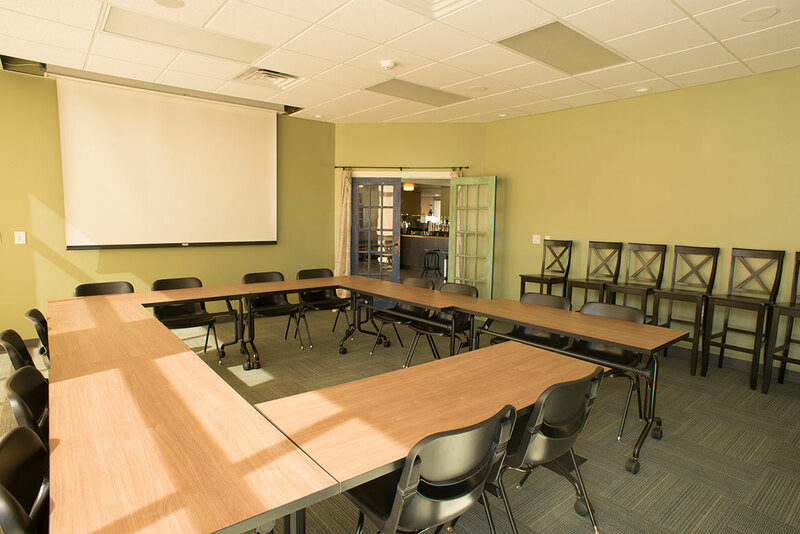 The 540 square foot room is a technologically advanced and fully functional meeting space capable of seating 16 participants using multiple table configurations. The motorized projection screen can display images from any portable laptop using an installed ceiling mounted projector. Additionally, there is a built in audio system with speakers mounted in the ceiling. Catering: All meetings are catered by Glas, the green coffeehouse. Participants can either purchase items at the counter or pre-order and have them brought to the room. All menu items are available to meeting guests. Lunch items include a variety of bagels, sandwiches, quiche, biscotti, muffins, scones and cookies. Scheduling: All scheduling is handled by Glas staff. Please call (920) 334-4527 to schedule meeting time and to place your catering order. The room is available starting at $25/half day for for-profit groups. 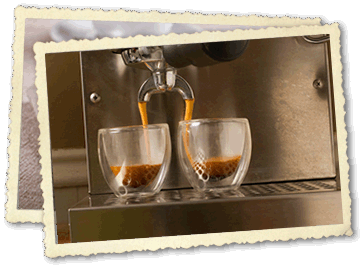 All room reservations must be accompanied by a commitment to order beverages and food from the coffeehouse menu. Our eggs, cheese, and milk products are all sourced from Wisconsin. Our plastic cups and lids are 100% recyclable along with our drink sleeves, which are made from 100% recycled paper. Additionally, our take-out boxes are made of compostable fiber. Mon. - Fri: 7 a.m. - 6 p.m.